March 25-27, 2013 at Stanford University, Stanford, California. You can check the locations of the conference venue, coffee shops, reception places, and a parking information from Google Maps. How do you trigger learning by seeing? How do you encourage eco-conscious behaviors? How do you trigger health awareness? How do you encourage crime prevention? The merits of Shikakeological approach are summarized as four points; low expertise, low cost, wide range of target users, and long term continuous behavior changes. Developing a Shikake can be easier and less expensive than developing complicated engineering mechanism. These advantages allow people to use the Shikake approach to address immediate problems without requiring specific expertise. Another Shikake objective is to induce spontaneous behavior. When people feel controlled or forced by someone or something to do something, they never do that again. On the other hand, if people desire and enjoy changing their behavior, they would do it repeatedly. Shikake aims to change behavior through a continuous engagement and transformation process. The goal of Shikakeology is to codify the cause and effect of Shikake cases from physical and/or psychological points of view, and to establish a Shikake design methodology. To achieve this goal, this workshop invites Shikake studies to share the knowledge, methods, experiments and findings that demonstrate triggers that motivate people and lead to behavior changes. The fundamental research of Shikaleology is deeply related to Artificial Intelligence topics through: 1) interaction design of embodied-, situated-, and behavior-based intelligence, 2) definition of Shikake ontology and knowledge representation; 3) codifying Shikake cause and effect, and 4) formalizing intelligent and adaptive Shikake algorithms for reasoning, planning, and learning. Shikake can be viewed as an intelligence amplifier for new Artificial Intelligence platforms. We are surrounded by various things that are visible and/or hearable but not being recognized. However, a Shikake can make people aware of them. 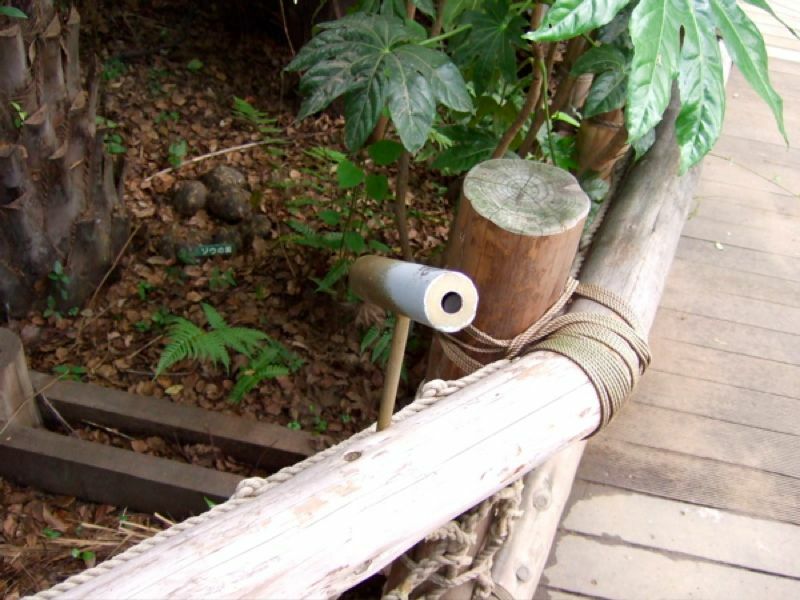 A cylinder in the below pictures is located beside a pathway at Tennouji Zoo in Japan. 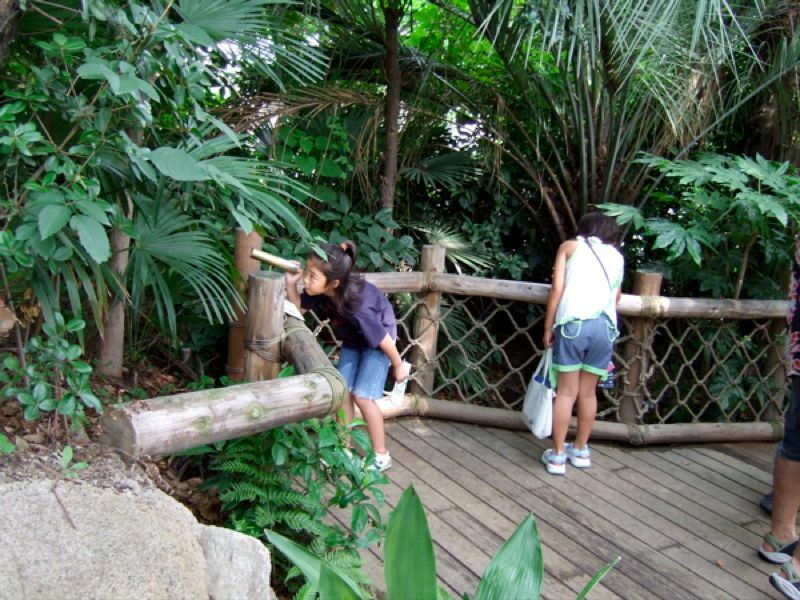 By observing the passers-by near the cylinder, we found that many people, especially kids, were interested in, approached to, and looked into the cylinder, and eventually found something interesting beyond the cylinder and enjoyed the discoveries. The looking people themselves also becomes a trigger to attract others. This is an example of easy, primitive, and cheap but powerful Shikake. Carefully looking around the world, we can find many Shikake examples that change our consciousness and behavior. We invite papers that present new approaches to behavior change which are related or contribute to the study of Shikake. Case studies of behavior change and innovative new Shikake concepts are welcome. The evaluation criteria of submitted papers will include: statistical verification, creativity, and applicability. Abstract: Android is not fiction anymore. The tele-operated androids developed in Osaka University and ATR are working in several real situations. Especially, Geminoid that is a copy of myself is giving lectures in conference instead of me. This talk introduces a series of androids and discusses on the philosophical questions. Abstract: In this talk, I will discuss a line of research that leverages embodied experiences--immersive, multi-sensory, perceptually rich forays into virtual worlds. Specifically I will review research designed to viscerally connect the causes and effects of environmental actions. By putting people in simulations that highlight their impact on the environment, we have created a unique tool to change decisions regarding energy and resource use. For example, forcing those who use non-recycled paper to cut down virtual trees results in less paper use subsequently in the physical world. We discuss theoretical explanations for this work as well as a number of successful applications in other environmental domains. October 5, 2012 October 19, 2012 - Submission of extended abstracts (more than 400 words). November 2, 2012 - Notification of acceptance/rejection. January 18, 2013 - Submission of camera-ready papers (6 pages maximum). March 1, 2013 - Registration deadline. March 25-27, 2013 - Spring symposium dates. Interested participants may submit your extended abstracts - more than 400 words in PDF format - to . AAAI will sends the authors of accepted papers the instructions on how and when to prepare the technical reports notes. AAAI symposium authors are required to use the AAAI style files to prepare their papers (http://www.aaai.org/Publications/Author/author.php). Electronic versions of abstracts and papers will be asked to submit via the AAAI web site (the site will be announced later from AAAI). Note: the symposium papers will be part of the AAAI Technical Report Series.